Graduate student Jessika Khazrik is the first recipient of the Ada Lovelace Grant, a new grant at MIT that encourages and supports projects at the intersection of science and the humanities. An artist and writer based in Beirut and Boston, Khazrik is currently pursuing a master of science in Art, Culture, and Technology. Her indisciplinary work investigates the relationship between truth and testimony and the history of science. Khazrik’s project explores the work of Pierre Malychef (1925–2014), one of the earliest environmental activists and scientists in Lebanon. Malychef produced a prolific amount of research about ecological hazards in the country. 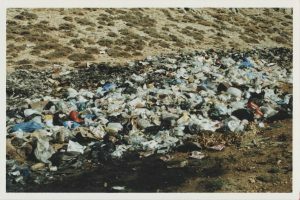 From the 1960s until the early 2000s, he took more than 10,000 photographs of waste and the spaces it inhabited: rivers, quarries, landfills, forests, and more. Malychef was one of three scientists assigned as official investigators of a toxic waste trade that was sent from Italy to Lebanon. However, after seven years of turbulent research and pervasive evidence, the case was forcefully closed when Malychef was detained and accused of being a false witness. The photographic and scientific evidence he produced was manipulated by the new prosecutor and presented as “proof” of his fabrications. With support from the grant, Khazrik will turn Malychef’s research into a fully shareable web archive and turn his in-house laboratory into a research center. The website, which she will design with the assistance of a web developer from CSAIL, is expected to launch in November 2017. 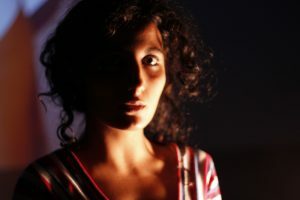 Khazrik has previously produced three exhibitions, two performances, and several public discussions, tours, and published writings on the toxic waste trade and the work of Pierre Malychef. The Ada Lovelace Grant is sponsored jointly by MIT’s Program in Science, Society, and Technology and the MIT Libraries. Each year, a woman graduate student at MIT will receive up to $10,000 to support a project using technology to make historical materials accessible and engaging to people outside the academy.